As former Gov. Mark White ended his argument before the Willingham court of inquiry calling for a change in the way the state carries out the death penalty, an appellate court issued an order demanding that Judge Charlie Baird stop the hearing. Judge Charlie Baird refused to disqualify himself from the Cameron Todd Willingham investigation today, meaning the court of inquiry examining Willingham's execution will move forward. Relatives of Willingham, who was convicted for the arson deaths of his three daughters, asked Baird to lead a court of inquiry to determine whether state officials committed a "crime of oppression" in allowing his execution despite evidence that challenged his guilt. Last week, Navarro County District Attorney R. Lowell Thompson questioned Baird's impartiality, citing his reputation as a death penalty opponent and the vote he cast while on the Criminal Court of Appeals to reaffirm Willingham's death sentence in 1995. Routinely, Baird's ruling would mean that the recusal matter would go to an administrative law court, which would decide whether to appoint a new judge or let Baird continue. But Baird said he agreed with the argument of the Willingham legal team — which includes former Gov. Mark White, Innocence Project Director Barry Scheck and San Antonio attorney Gerry Goldstein, who were all present in the courtroom — that Thompson lacked proper standing to make such a request. (Download their response above). The judge agreed with them, saying that the law dictates that only a party to a court proceeding can make a recusal motion. While Thompson, whose office originally convicted Willingham in 1992, was invited to testify at the Court of Inquiry, Baird said, he is not a party to it — only Willingham's relatives are. As the hearing proceeded this afternoon, Willingham lawyers called witnesses to discredit the evidence that fire marshals provided to convict Willingham, and to show that state officials had access to evidence challenging the Corsicana man's guilt prior to his execution. Arson expert John Lentini was up first. He attempted to debunk the "semi-mystical" conclusions of fire marshal Manual Vasquez piece-by-piece, saying that "all the evidence is consistent with an accidental fire." In a heated moment, Scheck asked Lentini to explain current fire marshal Paul Maldonado's continued support of Vasquez's investigations. "He is misinformed," Lentini said, adding that Maldonado's position "cannot be explained in terms of valid science or logic." Next on the stand was renowned arson expert Gerald Hurst, who at the request of Willingham's cousin, Patricia Cox, conducted a review of the evidence against him prior to his execution. In that review, he said he found "there was no valid science whatsoever" used to convict him. He testified that he sent that report to the state prosecuting attorney's office, the Navarro County DA's office, and the state fire marshal's office four days before Willingham was executed. At 4:52 pm on the day Willingham was to be executed, he faxed the report to the Governor's office. No one from any of those offices, Hurst said, has ever contacted him. Former Gov. Mark White used his closing argument to call for a change in the way the state carries out the death penalty. "Every shred of evidence points conclusively to his innocence, not his guilt," White said, acknowledging that, though he's been a "strong propoent of the death penalty," what happened to Willingham is "a horrible indictment" of the state's criminal justice system. After the hearing, White told reporters that he thought it was a "failure" that Gov. 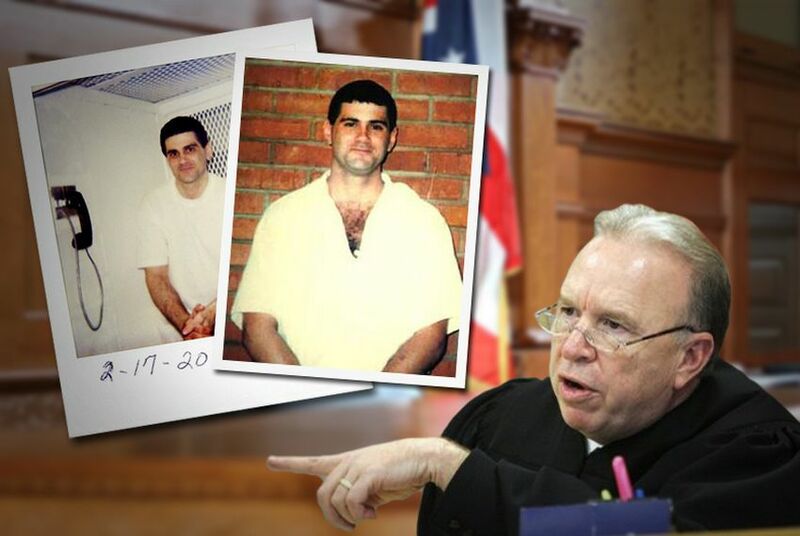 Rick Perry had not properly reviewed new evidence pointing to Willingham's innocence prior to his execution. He said that he expected an opinion from Baird "very soon." It is unclear when Baird received notice of the appellate court’s decision, issued after Navarro County District Attorney R. Lowell Thompson filed a petition for writ of mandamus and emergency motion for immediate stay. The order, signed by Chief Justice Woodfin Jones, orders the parties to respond by 5 p.m. Friday.